It often seems hard to save money. Most of this is due to how we think about money and how we view saving money. Changing our views and habits is key to successfully saving money. For example if you save $6.00 by bring a brown bag lunch to work but do not move over that $6.00 at the end of the week to your savings account you really didn’t save ANY money at all, in fact your likely to squander it on something else since you left it in your available money pool. I have some tips for anyone who wants to actually save money towards a goal, and the goal itself does not matter, it could be to save for a rainy day fund or college, the same principles apply no matter the goal. * When you receive a discount or utilize a savings tactic you need to move the money you would have spent; IE the money that you “saved” into a savings account or into an investment. Leaving it in your checking account simply means it will be spent elsewhere. This is where most Americans screw up and lose sight of their end goal. Keep your end goal in sight and keep your money saved tucked away weekly in your savings account. * Do not rationalize ways to spend the money you saved that is not going towards your saving goal. The old rob peter to pay Paul tactic should be avoided here. Once you place the money into your savings account forget about the money and avoid the temptation to spend it elsewhere. Saving money is not easy, but perhaps more difficult is stopping oneself from diving into those savings. * Avoid internet and easy access to your savings account. Even better consider opening up a money market account at a bank you normally do no business with. You want to make it as hard as possible to actually dip into that saving account. Also do not get an ATM card for your savings account if they offer it. You should opt for a bank or credit union that you actually need to walk in and see a teller to withdraw your money from. This alone gives you a chance at a second thought should you screw up and consider an early withdrawal from your savings account. * Be aware of impulses. Many of us have bad spending habits that are psychologically driven. Like having a bad day and then going on a spending spree. Being aware of these impulses is vital to avoid derailing from a savings plan. If you can learn to sense when your having these impulses to spend money needlessly you can then take steps to counteract these bad habits such as going for a walk or going out to meet a friend, or better yet exercising. * Manage your cash flow and bill dates. Many people end up dipping into savings because to many bills fall on the same date. One tactic you can use is to pay the bills with a credit card then pay the credit card balance off in full over the month during the grace period there by giving you a free 30 day loan, which in turn will let you avoid dipping into your savings account when all the bills are due. You can also try and work with companies to change the billing date so that the bill falls on a date that you more readily have funds available to cover the bill. Many companies are more than happy to accommodate this. 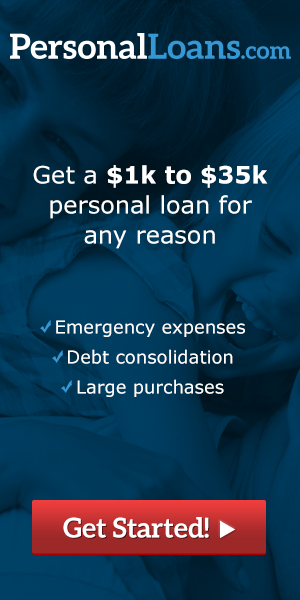 Searching for personal or unsecured loans, then stay tuned for the best topics on credit cards, debt and money saving tips in 2015.